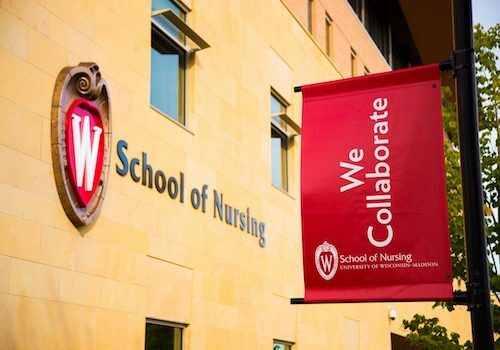 The University of Wisconsin-Madison School of Nursing, School of Human Ecology, and Nelson Institute for Environmental Studies are assembling an interdisciplinary research team to work closely with Wisconsin Native Nations to address tribal health, environmental and social challenges. The three new faculty members will collaborate closely with tribal communities and Native organizations to identify needs and determine priorities while advancing science. The new positions are part of the campus-wide UW–Madison cluster hire program. Launched in 1998 as a partnership between the university, state and the Wisconsin Alumni Research Foundation, the cluster hire initiative provides departments with seed money for building faculty teams to address critical issues that span multiple disciplines. This Native American environment, health and community faculty team evolved from a 2014 campus meeting where Wisconsin Native Nations and UW system leaders met to discuss ongoing relationships, community concerns and opportunities for future collaboration. That meeting led to the development of the Native Nations UW Working Group and a strategic plan calling for this kind of interdisciplinary research team. “These hires will be transformational,” says Nelson Institute for Environmental Studies Director Paul Robbins. “We are building a world-class team to promote partnerships in research, teaching, and service with Tribal communities and sovereign Native Nations. Health is at the heart of this research team, which will address tribal-specific environmental hazards that create or exacerbate health issues along with health disparities that plague Native populations. Together with Native partners, the team of scientists will also explore community-based, culturally rooted environmental and health promotion programming for Native youth and adults. While the cluster hire faculty will work together to achieve these goals, each school or unit will be working with tribal communities within a particular area of expertise. While the School of Nursing focuses on reducing health disparities and developing health promotion initiatives, the Nelson Institute scientist will help establish connections between a wide range of health and environmental issues. The School of Human Ecology will lead youth and family program development. While each school has a unique set of requirements for applicants, candidates with diverse academic backgrounds who enjoy collaborative research are encouraged to apply. The School of Nursing, for example, welcomes candidates with research programs in Native American nursing, public health, medicine, behavioral health, mental health, and other related areas. Nelson Institute faculty members also come from a variety of backgrounds, including physical and biological science. The three new hires will begin working August 2019 and will also join members of the UW-Madison American Indian Studies Program, the Native Nations UW Working Group, and a number of other faculty and staff in ongoing efforts to develop collaborative programs with Native Nations and tribal communities. This story first appeared on the School of Nursing website.